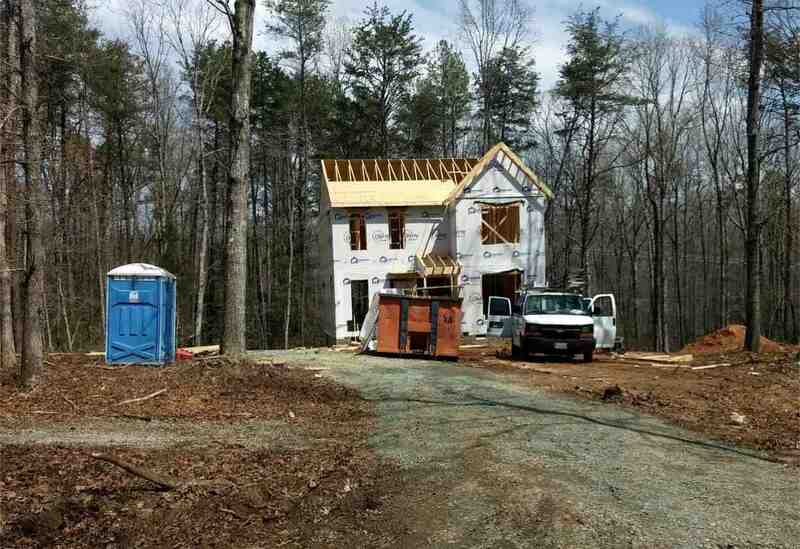 Roy Wheeler Realty Co. MLS# 586008 - Lot 11 Waldrop Church Rd, Louisa, VA 23093 - Roy Wheeler Realty Co. Courtesy of ROY WHEELER REALTY – ZION CROSSROADS. CONSTRUCTION HAS BEGUN! The Everette Model on 3.4 acres with NO HOA! The spacious great room opens to the breakfast area with angled bay window and kitchen with upgraded cabinets and stainless appliances. Formal dining room could also be used for home office or play area. Rear 10×10 overlooks the peaceful wooded setting. Upstairs you’ll find the master bedroom with walk-in closet, 2 additional bedrooms and convenient laundry room. Photos are similar. STILL TIME TO MAKE SOME SELECTIONS! Directions: From Charlottesville, take 64E to Exit 143 Ferncliff Exit, left on 208 (Courthouse Rd.) L on E. Jack Jouett, R on Byrd Mill on 649, R on 632 (Waldrop Church). Driveway is on the right just past 2596 Waldrop Church. Home is on the left.